The Legacy of Kain series has fallen silent for some time. Earlier this month we broke news that Nosgoth is coming via Square-Enix, and it marks the return of the franchise after many years. However, one NeoGAF user has dug through the bowels of the internet and has unearthed evidence of ten failed attempts at new games in the series. The investigation comes from NeoGAF user Mama Robotnik, the same person who exposed many cancelled Silicon Knights projects last year. 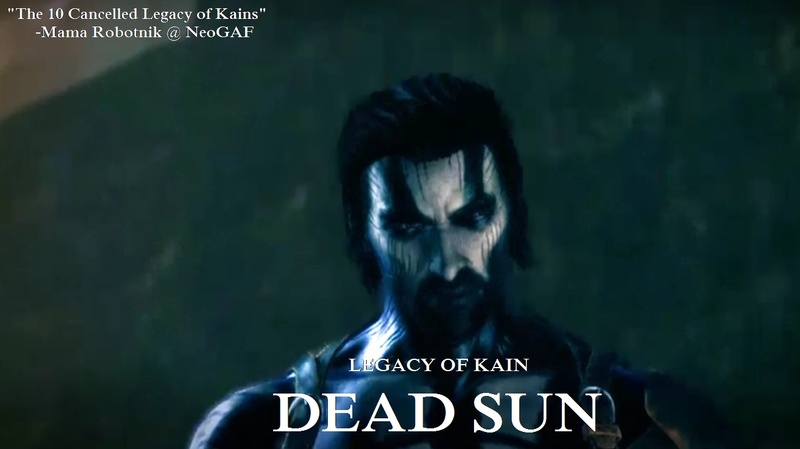 On the most recent rumoured project Legacy of Kain: Dead Sun, Mama Robotnik claims that developer Climax was working on the game for over three years as a PS4 launch title and that the newly-announced game Nosgoth – formally referred to in rumours as ‘War for Nosgoth’ – was actually the game’s multiplayer component. Has the mode been turned into a full, standalone game? The report also claims that sales projections for Dead Sun did not meet Square-Enix targets and they quietly cancelled the project. It was said to be set many years after the Soul Reaver series, and starred a vampire called Gein who feeds on a human called Asher. The pair become linked through some strange soul symbiosis and embark on a quest across an open world depiction of Nosgoth. As a result of the anomaly, Gein/Asher can morph between spectral and material realms at will. Here’s an image of Gein. Mama Robotnik claims there have been ten cancelled Legacy of Kain projects so far, and that they were in development across a wide range of studios and publishers including, Crystal Dynamics, Silicon Knights, Climax, AndNow, Activision, Square-Enix, Eidos, Ritual Entertainment, Glyphx, Nixxes and Psyonix. You can see concept art and gameplay stills from many of the cancelled projects here. The GAF report goes into great detail about the projects, and pieces together elements of their construction and cancellation from various sources throughout the years. It also touches on a lawsuit between Eidos and Silicon Knights that was unearthed last year. Check out the fascinating thread above and let us know if any of the projects look appealing to you.